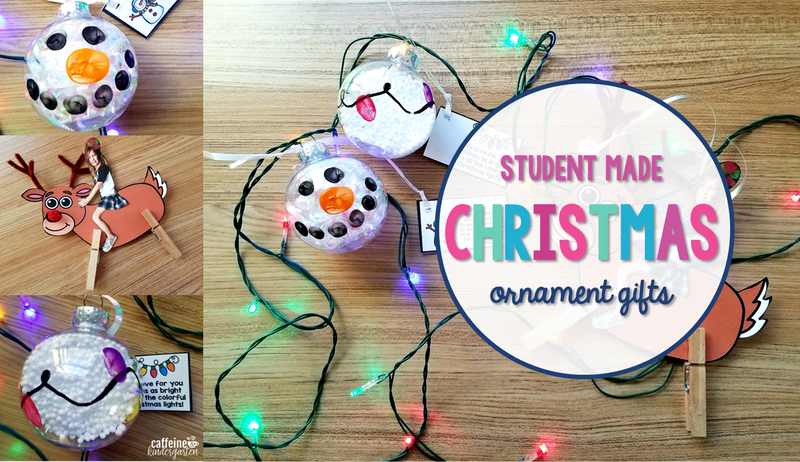 Are you looking for Christmas Ornament ideas for your students to take home to parents? 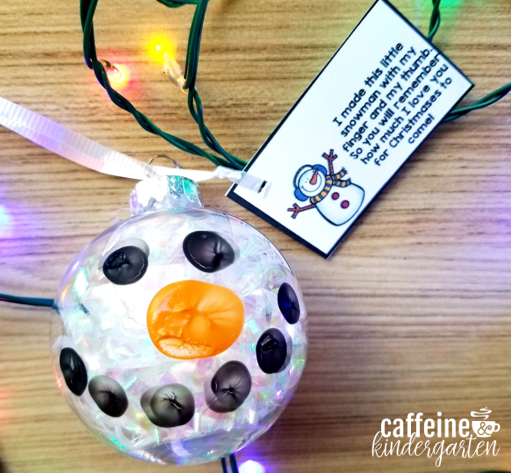 Check out these easy to make ornaments and grab the free ornament tag printables! I absolutely LOVE these reindeer ornaments! They are adorable and so inexpensive! First take a picture of each student sitting backwards in a chair. Make sure that their hand is out flat on the side of the chair. A close up 4×6 picture usually prints the perfect size to sit on the reindeer. Next, print out the reindeer printable that is FREE on the bottom of this page. 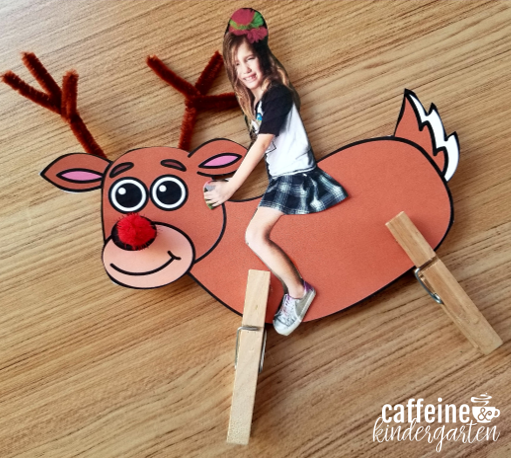 Cut around the student and glue them to the reindeer positioned as if they were riding it. Last add the nose, legs, antlers, and reindeer. Laminate them to last longer and add a ribbon! This is a beautiful ornament. I love the gift tag that goes on the ornament for parents. I like to write the student’s name and year on the tag. First, fill a clear plastic ornament with shredded paper, crinkle paper, or fake snow (I found the snow at Hobby Lobby). Replace the lid and use a black paint marker to draw the wire. Paint student’s fingers different colors and add Christmas lights to the wire. Let it dry and add the free printable ornament tag found in the kit at the bottom of this page. Easy and ADORABLE! I love using fingerprints and handprints in take home projects. As a mom nothing is sweet to me than a reminder of my children’s little hands. Pulling out handmade ornaments every year is always fun! This little snowman is the cutest! 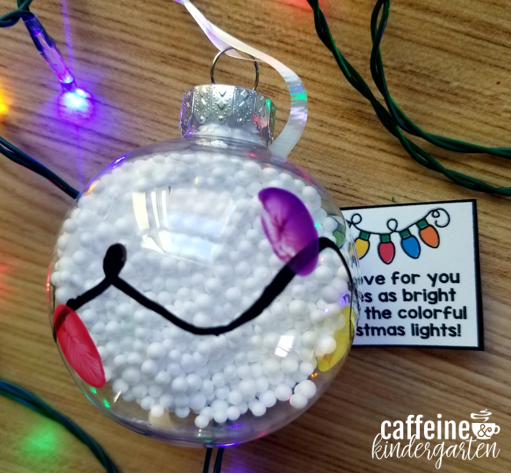 To make this ornament, I filled a clear plastic ornament with white tinsel. I love the shine that it gives it! Then we used black fingerprints and an orange thumbprint to make the snowman face. There is a downloadable gift tag and poem for this one too!